Join YPE Houston for the YPE OTC 2019 Executive Leadership Reception, featuring keynote speaker Willie Chiang, Chief Executive Officer for Plains All American GP LLC. Chiang will share his insights and leadership principles gained throughout his distinguished career. In previous years, attendees have benefited from the insights of industry leaders and trailblazers such as John Christmann, Apache Corp. CEO; Martin Craighead, Baker Hughes CEO; and Charif Souki, previous CEO of Cheniere Energy and co-founder of Tellurian Investments, among others. This event offers attendees the chance to hear personal insight from top industry leaders in the business on professional development while providing the ability to network one-on-one with like-minded individuals. The evening will include a cocktail hour and reception with open bar, and heavy hors d'oeurvres. Mr. Chiang has served as a director of PAA GP Holdings LLC since February 2017. 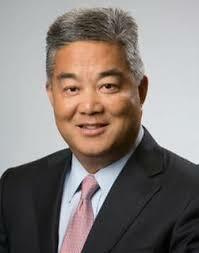 He has also served as Chief Executive Officer since October 2018 and previously served as Executive Vice President and Chief Operating Officer of Plains All American GP LLC, the general partner of Plains All American Pipeline, L.P.
Mr. Chiang joined PAA in 2015 from Occidental Petroleum Corporation where he served as Executive Vice President, Operations since 2012. From 1996 until 2012, he served in various positions at ConocoPhillips, including most recently as Senior Vice President – Refining, Marketing, Transportation, and Commercial. He has served on the boards of DCP Midstream and Chevron Phillips Chemical and has been extensively involved in the American Petroleum Institute. He currently serves in director roles on the United Way of Greater Houston Board and the Society for the Performing Arts. Mr. Chiang holds a bachelor’s degree in Mechanical Engineering from the South Dakota School of Mines and Technology and completed the Advanced Management Program at the University of Pennsylvania’s Wharton School of Business.